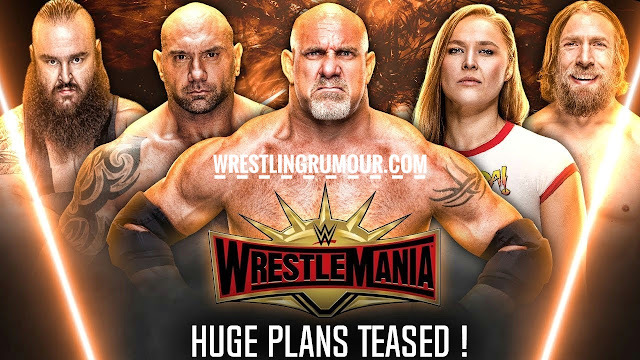 Wrestlemania 35 main event plans revealed - WWE latest update. Wrestlemania 35 huge plans revealed !! Recently in an interview the interviwer had asked a question from the wrestling observer Dave Meltzer that what would be the wwe's plans for the main event of wrestlemania 35? So Dave Meltzer hadn't answered this question but he had conformed that since Roman Reigns is not appearing in wrestlemania 35, so there are much more chances of women's match taking place in the main event of wrestlemania 35. So, if this really happens then it will be a very big move by the WWE company.
. When will Roman Reigns return back in WWE ? Also if you are thinking that universal championship match could also take place in the main event of wrestlemania 35 then let us tell you that of happening this, now the chances are very low. But if this match takes place in the main event of wrestlemania 35 then who will face again face Brock Lesnar for the Universal championship in the main event? 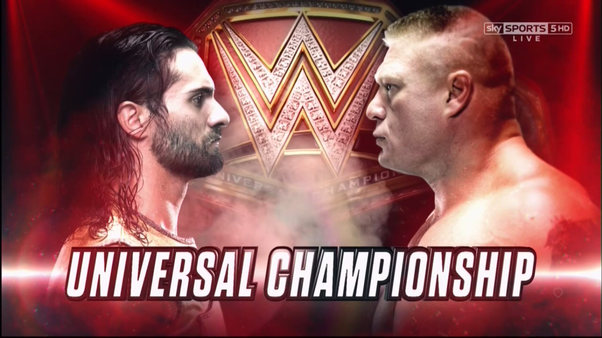 So let us make you know that according to current plans of WWE company, Seth Rollins will face Brock Lesnar for the Universal championship. And currently WWE company is trying to make a huge storyline angle between these two superstars and hopefully the beginning of this storyline will be from the Royal Rumble ppv. WWE RUMOUR : Seth Rollins could face Brock Lesnar for the Universal championship. Also it is possible that WWE could change their official plans and instead of Seth Rollins we could see one another big superstar, facing Brock Lesnar for the Universal championship in the main event of wrestlemania 35. Also all wrestling observers and fans are expecting that at wrestlemania 35 they could see a title change!
. The Rock is finally returning back for Universal championship..!
. 5 shocking returns to happen at Royal Rumble 2019..!
. Royal Rumble 2019 winner revealed..! Also let me know make you sure that some updates are conforming that WWE company had booked 80% of their match in the Royal Rumble ppv and WWE had locked their plans for this ppv. So we gonna know WWE's official plans for Royal Rumble and Wrestlemania 35 too in the upcoming Raw and Smackdown live episodes. So readers, this is all about in this update. I hope you guyz like this update. Also let us know in the comment box below that which superstar you want to see as a winner of Royal Rumble 2019 match. So readers, which superstar would you like to see as a winner of 2019 Royal Rumble match?